You finally wake up on the 5th alarm you set and you’re running late to your morning class. You know you don’t have time to go to the dining hall for breakfast, but you still need to eat! The solution lies in the microwave. Whether it’s Pop-Tarts or oatmeal, you will have an instant breakfast and be out the door in no time. 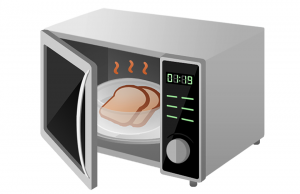 Microwaves will save you loads of trouble and time, which is a valuable thing. When laziness kicks in, the microwave takes over. It will be there for you after the dining halls close and you need that late night meal. A microwave will be an appliance you need throughout college, so it will also be nice to have it when you move out of the dorms and into an apartment. This means that its a one time purchase, so it’s worth paying for!